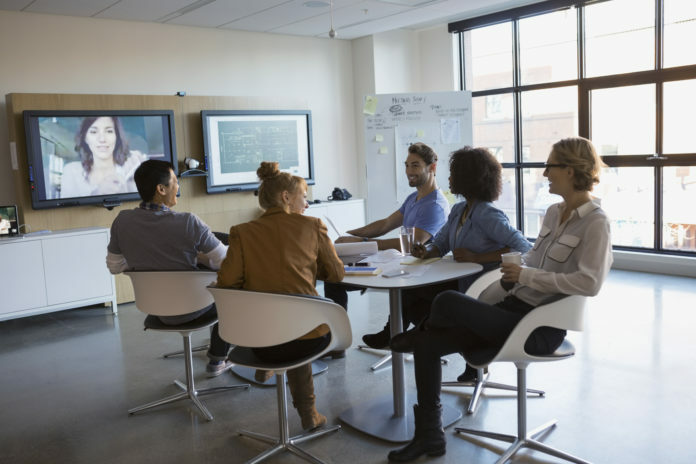 Despite all the noise from analysts and vendors pushing enterprises toward the promised land of pervasive video collaboration by video-equipping smaller conference and huddle rooms (as they should! ), Cisco continues to keep a parallel focus on video conferencing in the larger conference room, board room and special events room segments. I don’t mean to dismiss continuing innovation at the “huddle” end of the scale; rather, let’s simply not forget that optimization of the meeting experience in larger conference rooms pays dividends, especially for VIP users that tend to make use of larger, not smaller, conference rooms. Over the past year, Cisco continued to make headway improving the large-room experience with Cisco PresenterTrack to assist in lecture/presentation situations, and In-Room Controls to help smooth out the experience from their excellent Touch 10 control device. Starting strong in 2017, more improvements have already arrived with Cisco’s CE8.3 endpoint firmware release. Cisco’s PresenterTrack feature, introduced as a free new feature with CE8.1 firmware in April 2016, focuses on large conference rooms, such as boardrooms or training rooms, that often feature presenters standing at the front of the room, rather than at the conference room table. It’s also quite useful in education scenarios where an educator addresses a class in a lecture format. The feature puts a control to switch camera views of the presenter/lecturer right on the Cisco Touch 10 control device, making it easy for end-users to use. To boot, it engages a special camera mode to allow the presenter to be followed around a pre-defined stage area with automatic pan/tilt/zoom, all hands-free. This potentially removes the need for a standalone A/V operator or producer to control cameras during the lecture, additionally increasing usability. How this new feature works is an interesting innovation. The system requires a Cisco P60 camera connected to a Cisco TelePresence SX-80 (or MX-700/-800, based on SX-80) that is set up in the rear of the conference room. The camera is positioned and appropriately zoomed on the stage area at the front of the conference room. The Cisco SX-80 has been enhanced with some facial recognition software allowing it to recognize a presenter and follow them about the stage area (unfortunately, only the SX-80 has the horsepower for this job). It is configured with a trigger zone – if a person’s face is detected in the pick-up zone while the PresenterTrack feature is active, it will follow that face (or faces) around the stage area. Though the P60 camera only passes 1080p resolution video to the SX-80, it features a 4K resolution sensor – and this makes the magic of PresenterTrack possible. While PresenterTrack is active, the SX-80 will instruct the P60 camera to digitally zoom/crop its raw 4K picture of the entire stage area to a (still native pixels) 1080p-resolution window focused on the detected face. It will then digitally pan and tilt to follow the face around the stage area. This digital crop/zoom allows for an extremely smooth visual image transition as the Presenter moves about the stage area, relative to what one might get with a traditional motorized PTZ camera moving to and fro. The result is an entirely hands-free experience for the presenter/lecturer, with an easy-button to turn it on/off. This is not just a bell-and-whistle, it’s a real, functional feature that can enhance a meeting experience for VIPs and educational lecturers, without requiring heavy A/V support overhead. Real innovation, delivered. Changes in the availability and presentation formats of audio-visual media, along with extreme price competition among flat panel TV vendors, have tended to shift the focus of conference rooms away from A/V rooms and towards pure video conferencing use cases. For example: when’s the last time you watched a video on DVD/Blu-ray (or, shudder, VHS?) in a conference room setting, as opposed to streaming it to a browser or mobile device? That said, larger conference rooms and boardrooms tend to be more elaborate affairs, while special event spaces, by their nature, must support unique needs. Larger rooms and spaces may feature centralized, digital control of lighting, shades/blinds for windows, heating/cooling and even recessed screens or other motorized components. They may also have a movable partition that subdivides the space into multiple A/V zones with different microphones and room audio reinforcement (speakers) for different situations. Such spaces would also have a Crestron or other vendor room control system and touch panel. Yet, these controls, whether due to haste in installation or vendor system limitations, are often difficult to use (much less reprogram), most likely use a differing user interface and usually suffer from some amount of feature gap relative to the native interface available on a Cisco Touch 10 control device. For example, Cisco’s extremely user friendly One Button to Push (OBTP) feature, which allows for a user to easily launch a video meeting synchronized from their calendaring system, tends to fall into the gap. Enter Cisco’s In-Room Controls features, also launched as a free new feature in CE8.1 firmware, enhanced with CE8.2 firmware released in June 2016, and enhanced even further with CE8.3 firmware released in early 2017. In-Room Controls allows for customization of the native Cisco Touch 10 control device interface to add buttons, sliders and other UI elements to control the advanced features of larger conference rooms, boardrooms and special events spaces. With In-Room Controls, the Cisco Touch 10 can display the same external systems controls, including lighting, temperature and more, using the native UI end-users find on all Cisco endpoints. This allows for rich room control from the native Cisco Touch 10 interface that end-users will find in any Cisco TelePresence room, huddle room to boardroom. It also means no feature gaps in these larger rooms, as the native control interface remains in place. While the other room control systems remain on the back-end to actually send the signals to perform digital room control, the piece end-users actually interact with remains native, hiding the underlying complexity and increasing usability. One can even combine In-Room Controls with PresenterTrack to further increase the ease-of-use for end users. For example: as shown above, the PresenterTrack UI is a bit buried under the camera controls function on the Touch 10, but with In-Room Controls, a simple button can be added to both the in-call and out-of-call UI to enable/disable the feature with the press of a button. With In-Room Controls, the Cisco Touch 10 can display the same controls using the native UI end-users find on all Cisco endpoints. Yet for all its potential greatness, in a major miss for this day and age, the Touch 10 UI sadly does not support emoji :). Looking ahead, Cisco’s CE8.3 software offers further enhancements primarily focused on the In-Room Controls front, with a native interface to support external HDMI video switches to bring more types of media onto endpoint displays from the easy-to-use and familiar Cisco Touch 10 control device. This will support more large conference room, boardroom and special event room use cases that feature many cameras or input sources. With a native interface to an external HDMI switch, the Cisco Touch 10 allows end-users to easily change between presentation sources — ncreasing ease of use, especially in large, otherwise complex environments. Between PresenterTrack and In-Room Controls, Cisco continues to raise the bar for the meeting experience. The focus on ease-of-use and familiar interfaces will continue to pay off in 2017 in terms of customer end-user adoption of these technologies, from the smallest huddle rooms to the largest conference rooms and special events spaces. 2017 will undoubtedly see continued innovation on these fronts from Cisco. Are you curious about increasing the ease-of-use of video conferencing in your organization? 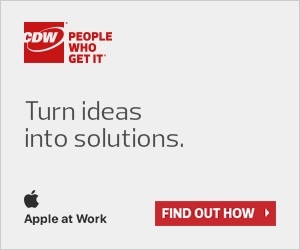 CDW can help! Reach out to your CDW Account Manager team to get a Collaboration Consultation set up today! Redundant Networking – What Is It?